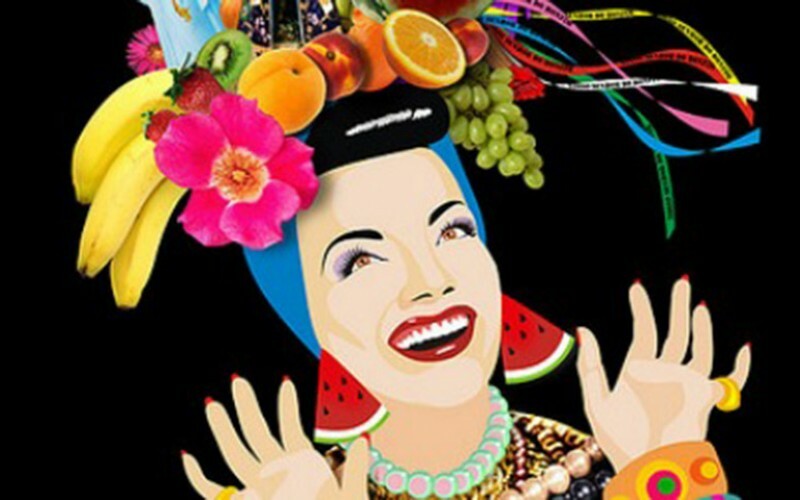 Not all can recall singer/dancer/actress Carmen Miranda though she and her platform shoes, frilly blouses and fruit laden headgear reappear every Halloween as a costume. What I recently found fascinating about the Brazilian Bombshell was her ability to brand herself as both a perpetual, and professional, foreigner. A feat that was a dual-edged sword. Carmen immigrated to Brazil from Portugal with her parents as a child. In Rio she mastered singing and the samba, designing outfits worn by Afro-Brazilian female street vendors in colonial times. 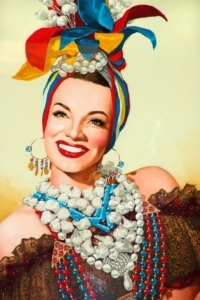 Turbans, platform shoes, large costume jewelry and carrying trays of fruit on their heads fascinated Carmen who brought the look to Broadway and Hollywood. 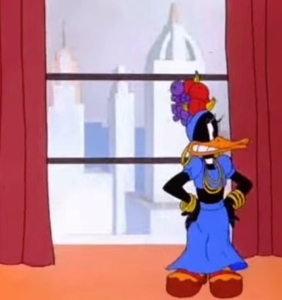 Carmen was a marketing genius, putting her exotic look to use selling shoes, skirts with thigh high slits, hats, costume jewelry, cookie jars and flower vases. Added to her film and record income, became one of the highest paid women of the 1940s. However, it was her being a professional foreigner that most confused me as an ex-pat. Carmen was bright and learned English quickly. In casual conversations she spoke accent-less English like any other mid-century American. However, in films, her lines were spoken in Portuguese, then calibrated with her male co-star’s lines so he’d repeat what she said, in English, providing the punch line. Her later scripts were written phonetically to insure her mispronunciations became comic fodder. Even in interviews she spoke fractured English and her quotes were written phonetically to be funnier. 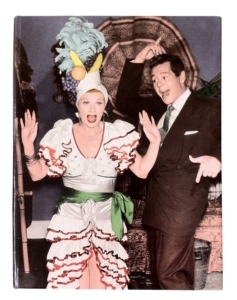 It was the opposite of 1950s Cuban American, Desi Arnaz, who often mispronounced certain words on I Love Lucy but that was only intentional in that his wife, Lucy, knew what words she’d tease him about at home, included them in their performances. Carmen rode the wave of then President’s Roosevelt’s policy of being a good neighbor to countries in central and South America. Roosevelt wanted the Americas to seen as all anti-Axis powers, and pure Allies during the upcoming world war. To snag Brazil’s top female radio and film star was a coup. 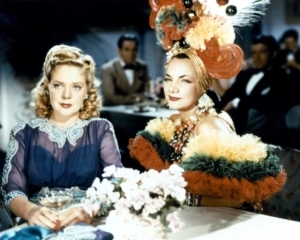 But life went differently for Carmen, than top German star, Marlene Dietrich. Dietrich re-branded her image from 1930s aloof, European to World War Two era fun loving American. Dietrich was often seen as a Wild West saloon hall gal in countless pictures with names like Frenchy, to disguise her far from the West accent. Carmen stayed foreign and exotic. Because of this she became the spice in musical films providing fun and heat to the more blonde and cool leading lady. Following the war, with Technicolor out of fashion, Carmen, like her bowl of fruit hats, didn’t fare as well in black and white. Colorless on screen, she soon found herself out of films and into nightclubs and early television. It was during one of these early television filmings she suffered a mild heart ailment that repeated later that day into a fatal heart attack. If you want to see Carmen at her very best youtube the film “The Gang is All Here”. Her Busby Berkeley numbers dominate the screen in all their surreal and psychedelic geometric glory. For me, she was fascinating to learn how another immigrant did so very well, yet also, limited herself by staying true to her cultural roots.